Dedicated to the Construction Equipment & Trucking Industries. Extended Protection Plans and Insurance Programs tailored to the needs of your OEM, dealership, and customer. We walk you step-by-step through SEO, blogging, and marketing campaigns – with our support to help you every step of the way. Maintain a solid customer base & increase your existing one. Our Rewards Platform is customizable and user-friendly. Buy Back Guarantee program guarantees the owner of leased equipment a particular value at the termination of the lease. Born & Raised in the Equipment & Trucking Industry. Raj and Christine Julka opened ADI Agency in 2006 with a different perspective than the typical Insurance Agency. 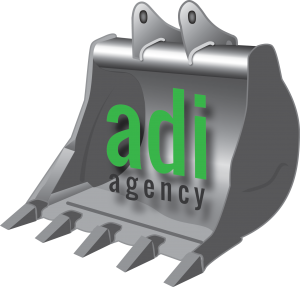 Growing up in a Heavy Construction Equipment and Trucking dealership gave them the firsthand knowledge and front line experience to truly understand how a dealership operates and functions, combining that with their extensive schooling in the insurance industry has helped set ADI Agency apart from their competitors. ADI’s main mission is to help OEMs and dealers sell more equipment, attachments, parts and labor while keeping your customers happy and coming back. The development of Protect My Iron® Extended Protection Plans, and Loyalty Bound® our proprietary customer loyalty software system, has helped us achieve our mission. ADI acts as a true business partner using these tools to enable you to sell more of your core products- equipment, parts, and service to keep your business thriving. Because we aim to create customized and cyclical sources of revenue that directly apply to your dealership, we have given you the ultimate control over your design. Leading their target markets, our world class partners have applied every aspect of their financial strength and marketplace recognition to assist in product development and delivery- giving you complete control over pricing, brand management, risk transfer parameters, underwriting and investment income, web-based product delivery, marketing tools, and management means. Get started increasing your revenue streams today! Is Your Preventive Maintenance Effective, or Merely Efficient?